Two Bears Farm and the Three Cubs: Ssips, Where have you been?!? Good Morning, Lisa. What a great find. Sounds delicious. A long ago memory for me is a MILKSHAKE candy bar. The community swimming pool concession stand would freeze them and they were so good on a hot summer day. 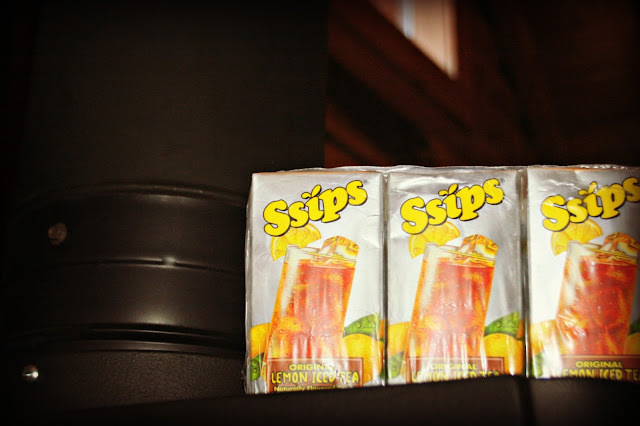 I googled the ssips and found a current website with lots of different flavors and even recipes. It's always fun to find a treat from our past. Have you tried searching for them online? What a cool idea, and a great way to "stretch out" 70 calories! Hope you have a great week! It does sound like you found a long lost treasure! You are adorable with your excitement about this. I would LOVE if they made Marathon candy bars again! I think I remember seeing these a few years ago. I have never tried them but they must be good for you to crave them like you do. That must have been so fun, to find something that you enjoyed so much in your teens. Maybe you could order some online? Ahhh, I hope not. Maybe there will be a dozen more trucked in from some rural part of the State. I don't really have any childhood snacks that I cant find today. My mom passed away many years ago, and my father learned to make some of her recipes. He treats me to sage stuffing every once in awhile--it was the best. I have never heard of them but if I find any in my travels to discount stores, I will get some for you. At least you got to live the dream again if only for awhile! Hahaha! Paul's reaction is too funny. I'm glad they were as good as you remember, though. I'm not sure I can come up with a treat from childhood that I'd be excited about - I'm sure it would be one of those "I'll know it when I see it" items. What a great find! Hopefully, the store you found them will restock unless, as you say, they were old. I doubt that,though. Sounds refreshing. Hope you find more! Yummy! I wonder...since you can't find them any longer, if you could make your own? Lemon Iced tea shouldn't be too hard to make. Pour it in ice cube trays or Popsicle mold. Then put them in the blender when you want them broken up. Then thing from my childhood is pudding pops. I now make them with pudding, a cup of almond milk and a package of soft tofu. I can't even taste the tofu. My kids love them! I also liked rootbeer float bars. Oh and the Candy Buttons. I haven't had Candy Buttons in years. have never heard of them! :)hope you can find more. How have I never seen these? No matter how many you get - it probably won't be enough. Some of the candy I remember from my childhood seems to have disappeared, but that probably a good thing! Your frozen lemon Ssips sound pretty good to me, too! So neat that you found them again! Hope you didn't buy the last ones and can find them at another store. Or maybe online? They sound yummy! My mother was an excellent cook and baker. Her Prune cake was excellent; so were her cheese rolls; and her fried apples, and the rhubarb we had... I never learned to cook like Mom --but I do have some of her recipes which I use... One of my favorite treats was something called Orange Balls --which she made at Christmas. I made them for my sons --and one of my sons taught his daughter how to make them.. Isn't that neat? They came back to tease you- I think. I see them on Amazon. They have some incredible things! hi Lisa! hmmmm, I don't know this product? interesting tho. What a great find! I don't know what product I would love to find. I'll have to think about this one. Mine was Big Hunk. I used to freeze those, and thought they were as awesome as jelly shoes and Aquanet. I tried it again a few months ago only to realize that at my age, eating a whole candy bar was gastro-suicide. Maybe I'll try a juice box. we had the so-called "polar icecream", vanilla-ish, not too sweet, creamy, yum! I think they started to make some version of it nowadays, but not the same.. I can't think of anything at the moment -- weird that you found these. Was there a date on them? Lol. I've never heard of those. Sounds yummy frozen.